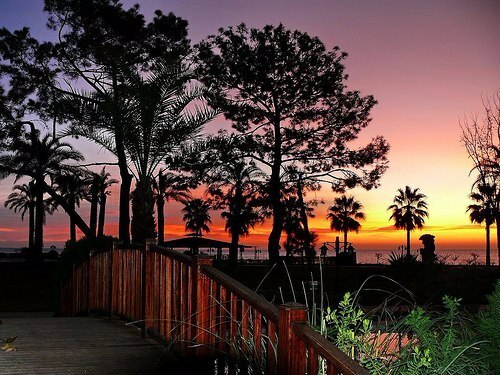 Kemer is a coastal city with some beaches, as well as mountains (up to the elevation of 2200m) close by. 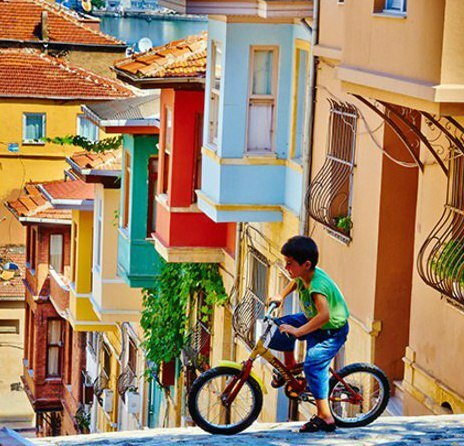 Surrounded by large resort hotels on northern and southern sides, this city is a much preferred destination for Russians on package holidays—as well as Western and Northern Europeans—and one of the few towns in Turkey with a welcome sign in Russian (in addition to the usual Turkish, English, German, etc). 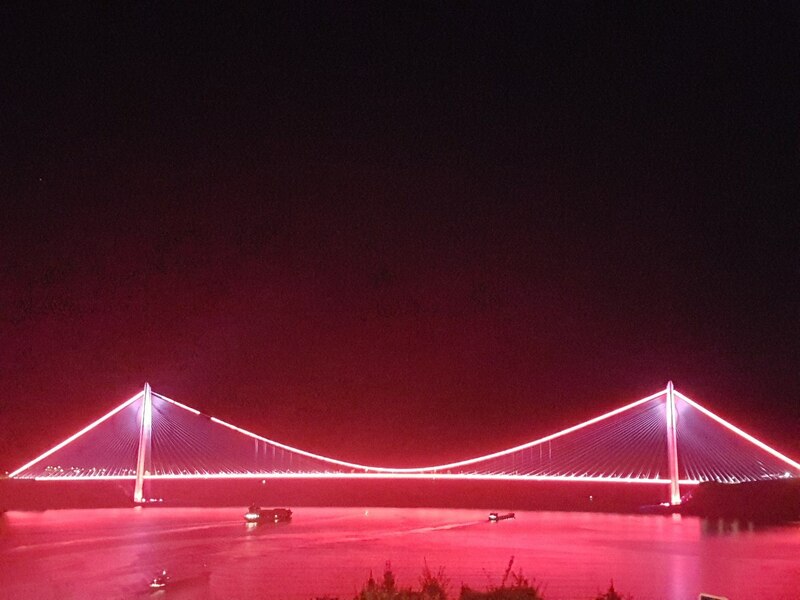 The Fatih Sultan Mehmet Bridge ("Sultan Mehmed the Conqueror Bridge"), also known as the Second Bosphorus Bridge (in Turkish: Fatih Sultan Mehmet Köprüsü, F.S.M. Köprüsü or 2. Köprü), is a bridge in Istanbul, Turkey spanning the Bosphorus strait. When completed in 1988, it was the 5th-longest suspension bridge span in the world; today it is the 24th. The bridge is named after the 15th-century Ottoman Sultan Mehmed the Conqueror, who conquered the Byzantine capital, Constantinople(Istanbul), in 1453. It carries the European route E80, Asian Highway 1, Asian Highway 5 and Otoyol 2 highways. There are two other bridges that connect Europe and Asia located in Istanbul which are named Yavuz Sultan Selim Bridge and 15 July Martyrs Bridge (formerly known as Bosphorus Bridge. The bridge is situated between Hisarüstü (European side) and Kavacık (Asian side). It is a gravity-anchored suspension bridge with steel pylons and vertical hangers. The aerodynamic deck hangs on double vertical steel cables. 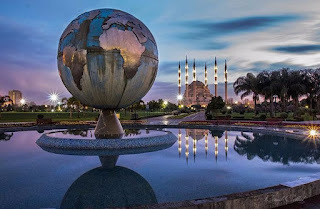 It is 1,510 m long with a deck width of 39 m. The distance between the towers (main span) is 1,090 m and their height over road level is 105 m. The clearance of the bridge from sea level is 64 m.
Adana Central Park the most beautiful Park of the city. 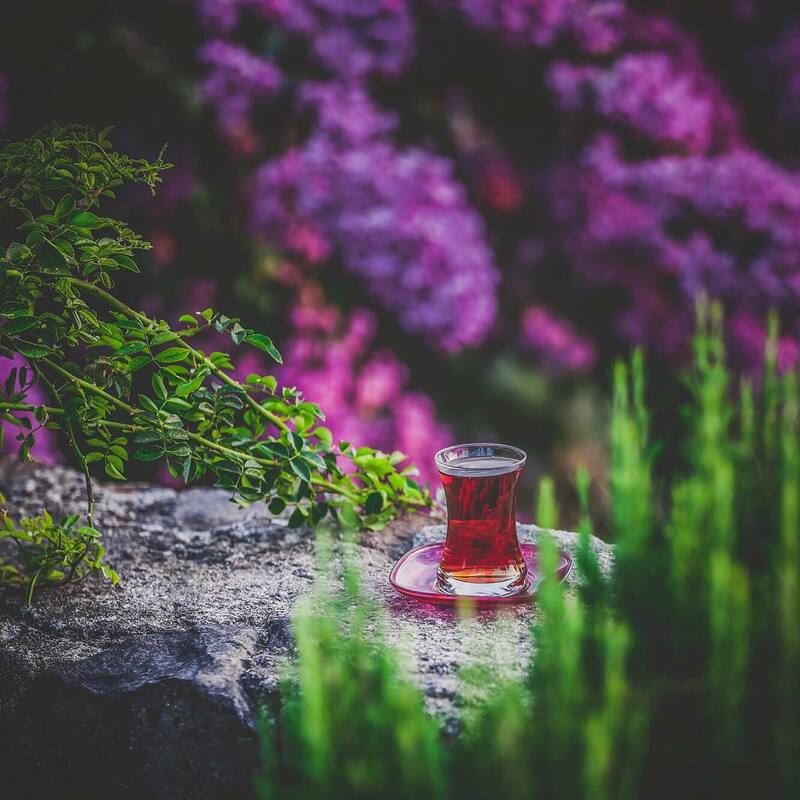 Here you can find hundreds of exotic plants and flowers from all over the world (which can grow in the climatic zone of Adana). 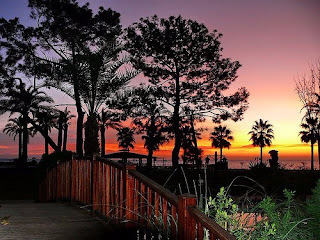 Due to the fact that flowering plants are carefully selected, the Park is in the paint all year round. 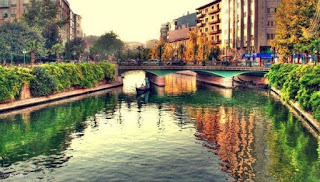 Eskişehir is a city in the northwestern part of the Central Anatolia in Turkey. 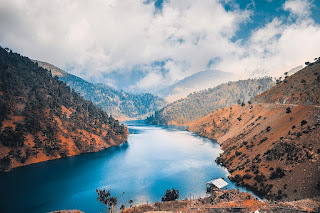 The city is home to about 500,000 people and two of Turkey’s biggest universities—Anadolu University and Eskişehir Osmangazi University—therefore the city is widely nicknamed as "students’ city" in Turkey. 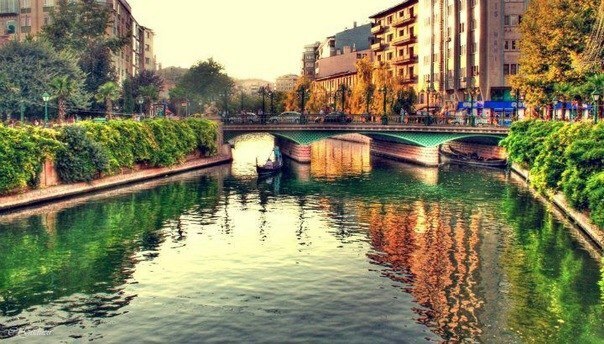 The name Eskişehir translates to "the old city" in Turkish, a fitting name as the city fully embraces modern life while still maintaining a sense of tradition and ancient values. 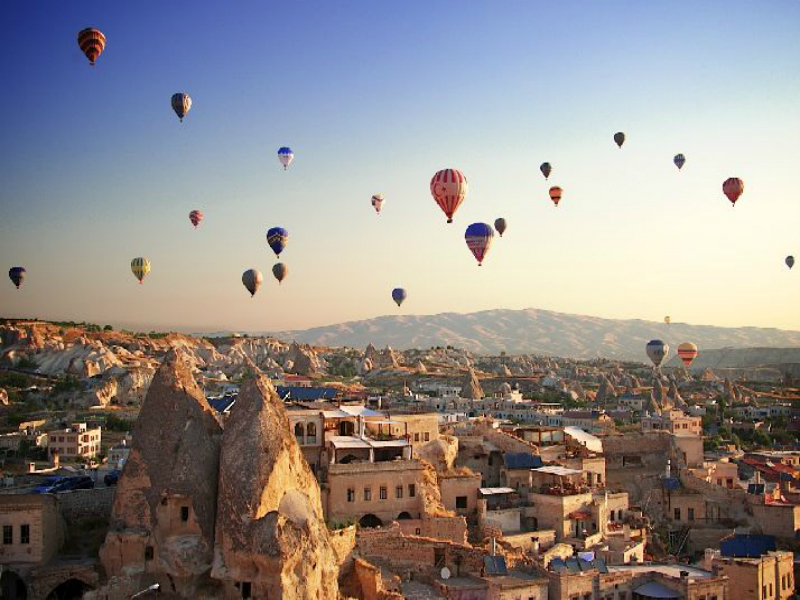 Kayseri is an old and large city with a strong economy. 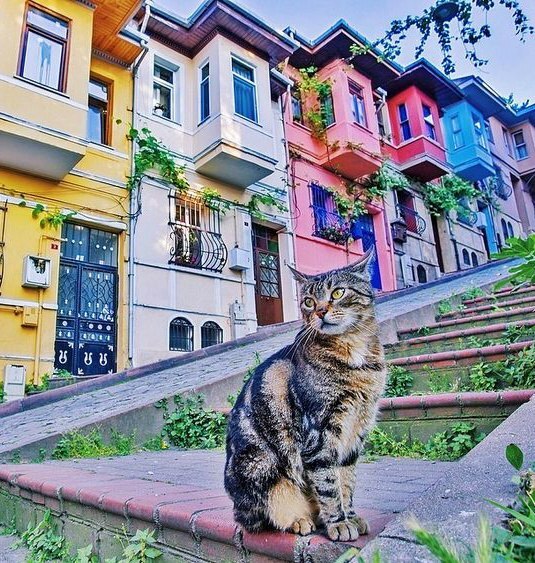 It carries lots of monuments from the days of Seljuks and Ottomans, and is also the home town of the most accomplished architect Mimar Sinan Population has been steadily increasing and nowadays is around 950,000 in the urban center. Pamukkale, which has been used as a spa since the second century BC, literally means "cotton castle" in Turkish. The travertine features have their origins in the shifting of a fault in the valley of the Menderes river (between here and Denizli). As the fault shifted, very hot springs with a very high mineral content (notably chalk) arose at this location. Apart from the slightly radioactive minerals, the calcium and hydrogen carbonate react to create calcium carbonate (also known as travertine) and limestone. 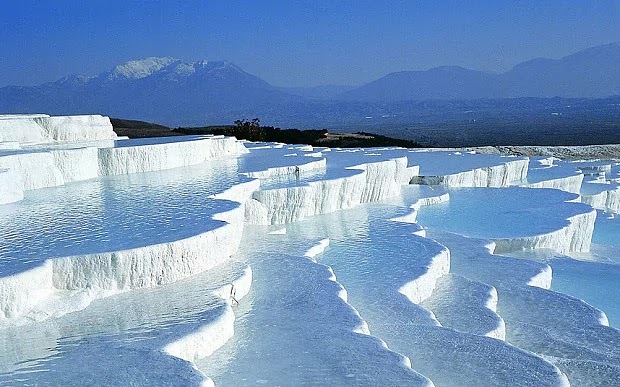 This is what gives Pamukkale its whiteness and created the pools. Eastern and Western civilizations, 2150 m. The intersection of a magnificent pyramid at an altitude, Nemrut the eighth wonder of the world, enchanting sculptures of eleven meters in height, and mosque-length inscriptions, UNESCO World Cultural Heritage. 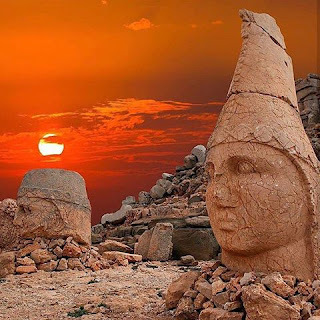 Nemrut Mountain attracts attention with its huge statues and monumental grave, as well as being the place where the world's most magnificent sunrises and sunsets can be seen. Every year thousands of people come to Nemrut Dag to watch the sunrise and sunset. Nemrut Mountain, which was declared as a World Cultural Heritage by UNESCO, is one of the important National Parks of the country together with the works of Commagene Civilization around it. The giant sculptures and tumulus on Mount Nemrut are located within the borders of Arsameia (Old Castle), Yeni Kale, Karakus Hill and Cendere Bridge National Park. 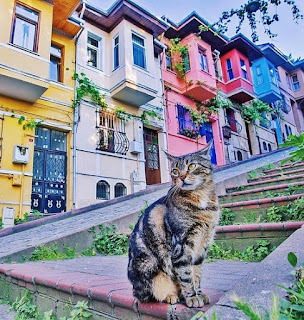 Balat - historical district of Istanbul. The area is still full of interesting houses, it is sad that most of them are in ruins. Neighboring houses where the Lighthouse Rum Diaspora lives are clean with ornate balconies and front garden. Jews (the essence of local population), Greeks, Armenians, Bulgarians - But Balata everything and everything mixed. This area made a real "melting pot" from different nations and religions, and tolerance and good neighborhood created a wonderful atmosphere. For example, you can find a synagogue Ahrida practically on the same street there Armenian Church Surd-Reshdagabed, St. The Stefan Bulgarian Church (meanwhile, all manufactured from demerids) and the mosque Ferruh-Ketyuda. In addition, it is known that even local populations can choose the court in which civil and indigenous issues want to appeal for decisions. In the synagogue the most rigid rabinik accepted the court but it was the most liberal, bizarre job - Sharia. Indeed, Balat - an amazing place! Балат - исторический район Стамбула. Балат - исторический район Стамбула. Район до сих пор полон интересных домов, жаль только, что в основном они находятся в полуразрушенном состоянии. В соседнем Фенере, где обитала Греческая диаспора, домики были аккуратные, с нарядными балконами и полисадниками. А вот в Балате смешалось все и всё – евреи (основа местного населения), греки, армяне, болгары. Это сделало район настоящим «плавильным котлом» разных национальностей и религий и создало удивительную атмосферу терпимости и добрососедства. Например, здесь практически на одной улице можно найти синагогу Ахрид, армянскую церковь Сурд- Решдагабед, болгарскую церковь Святого Стефана (кстати, всю сделанную из железа) и мечеть Феррух-Кетюда. Кроме того, известен факт, что местное население даже могло выбрать суд, в который хочет обратиться для решения гражданских и бытовых вопросов. Самым строгим считался раввинский суд при синагоге, а вот самым либеральным, как ни странно – шариатский. Воистину, Балат – удивительное место! One of the most important works of the 7th century, the Blue Mosque is a masterpiece built within the architectural sense of Mimar Sinan. After Sinan, architect Sedefkâr Mehmet Aga, who handled the legacy of Turkish architecture, rose in his hands. As it is known, Sultan Ihmet of the Sultan was a 14th-year Ottoman throne (at the age of 1603) when he was only 14 years old. He lived as a 14th monarch and died at 16 years in 1617 after 14 years of reign. It is allied with all sources that Sultan Ihmet was a religious sultan. XVII. 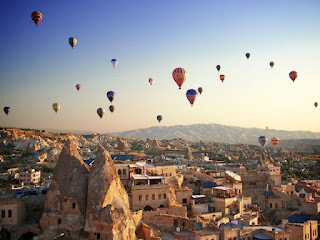 When it came to the beginning of the century, the main hills of Istanbul were kept with mosques and complexes, each bearing the name of a sultan. Sultan Ahmet, however, puts the idea of ​​raising a beauty that has not been seen in the throne city until now, as a thanksgiving document at the expense of paying great expense money and destroying many famous queen and pasha palaces. The head motif and passion make the most magnificent and beautiful of the glasses that have been made up to that time to prove the person. Architect Mehmet Aga goes to the architecture of the chief after being included in the palace of the palace of architecture and architecture in 1569-1570. Ayse Sultan palace located in the direction of Kibele of the horse plaza (hippodrome) was facing the sea, its area was very wide and it was close to the Topkapi palace and its surroundings were not much built up. This place was seen by the Sultan. Ayse Sultana, who was named, sent thirty thousand golden calibres of gold, and he handed over his possessions to the court immediately with hearted pleasure. It is the 9th Thursday of the 1018 recep month. (Today's calendar is 1609 years, the month is about the beginning of October) The first excavation in the templar, Sultan Ahmet Han himself shot. This excavation is in Topkapı Palace museum today. When the foundation digging started, the Sultan Ahmet Khan had first prayed that he would carry the soil with the skirts of '' Ya Lord Ahmad's servant ... ''. The completion of the mosque is on June 9, 1617, with the current calendar on the 4th day of the 1026th Holidays on Friday. Thus, construction lasted 7 years 5 months 6 days. It is the central structure of the mosque consisting of Mosque, Medrese, Daru-l Kurra, Muvakkithane, Sıbyan Mektebi, Arasta, Hamam, İmaret, Darü'ş-heifa and Türbe and is surrounded by an outer courtyard. The worship area, which is bounded by the walls of the mosque, forms a square close to the square. 53.50x49.47 (2.646 m2) square meters. The inside of the Sultanahmet mosque has a four-leaf clover plan. Four elephant feet are very influential. The main dome is 43 meters high and 23.5 meters in diameter. This measure shows Mehmet Ağan's ability as an engineer. The inside of the glass is surrounded by 260 windows which are placed in a very spacious space. Because of the way the windows are placed, the large dome looks like it hangs in the air. 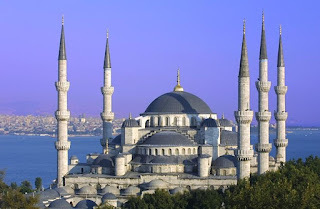 As it is known, westerners say "Blue Mosque" in the sense of this blue mosque. This mosque is as bright and spacious as any of its peers. In the three rows of walls, the blue, which is the dominant color in the tiles and pencil adornments covering the walls of the glass, which received light from countless windows opened on the pulleys of half, center and corner domes, caused this name to be given. In the Blue Mosque, 21043 pieces of tiles were used for the purchase of 16-18 pieces of acorns each as the products of İznik and Kütahya workshops at the end of the 16th century and the beginning of the 17th century. The selviler, lilies, hyacinths, narchizekleri, greeks, grape clusters in the panel which is brought to the white ground with various colors on the white floor is the entity that provides beauty in Sultanahmet Mosque and is the only source of Turkish tile. 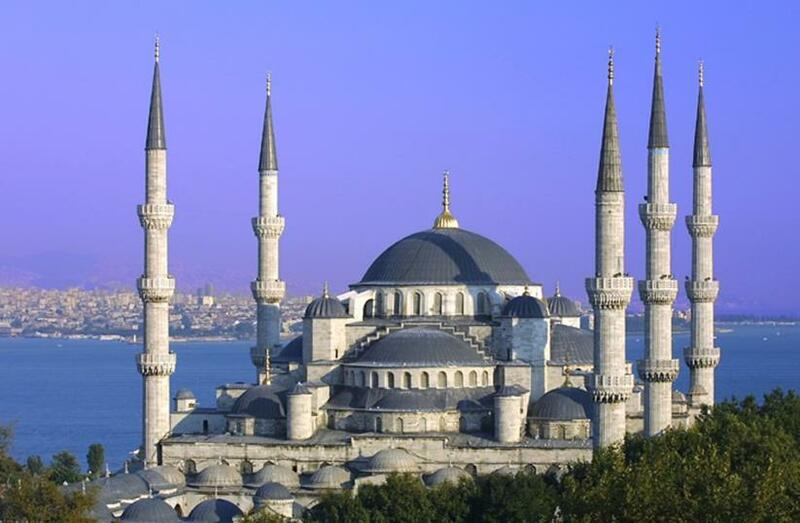 Sultanahmet Mosque has more than 50 different tiles. Sultanahmet Caminin mihrabı, minberi, mahkali mahfeli are separate works of art. The mihrabi, covered with motifs of china filled with flowers, is decorated with crumbs with cypress motifs made of marble. The pulpit is gilded with geometric inserts and reliefs. It is a masterpiece with a pearl inlaid door and a fine wall work of golden gilded tiles. First, in this mosque, a mansion has been added to the mosque for the first time in this mosque, before and after the prayer for the sultan's rest. This pavilion, which has been adopted by many sultan cami, has been built on the front corners of the mosque or on the bezels that can be passed easily. It is the only glass with six minarets. Four of the minarets are two in honor of two. A minaret was added to the Mecca mosque in order to preserve its honor because the six minaret mosque was only the Mecca Mosque prior to the construction of this mosque. The Sultanahmet Mosque is a great mabed that is magnificently magnificent, magnificently magnificent, faithful and sincere. Shortly after the completion of his humble and devout mosque, the complex is lying on the turban, built on the northeastern side of the outer courtyard of the glass, the completion of the complex. Stanpoli Travel. Travel theme. Powered by Blogger.